Last week I had the absolutely mind-blowing pleasure of meeting Sir. David Attenborough. 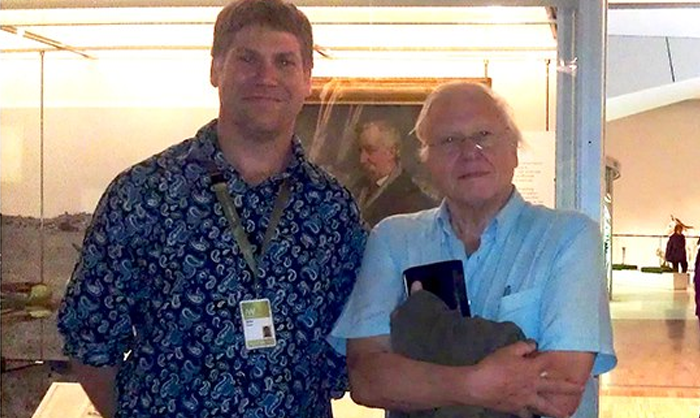 Such a lovely bloke, I met both Sir David and his daughter and gave them a personal tour through parts of our collections for the better part of an hour. Not only is he amazingly knowledgeable about the natural world, but his level of expertise and understanding of Aboriginal cultural artifacts is astounding.